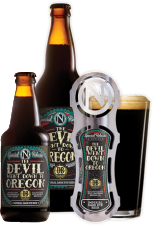 Eugene, OR – In a partnership spanning Oregon’s bountiful Willamette Valley to Virginia’s heartland, Ninkasi Brewing Company and Devils Backbone Brewing Company unite to offer a collaboration beer that is crisp, complex and a nod to a traditional German beer style. 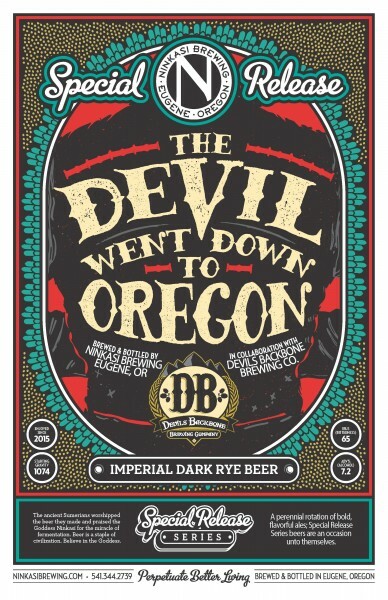 The beer, The Devil Went Down to Oregon, is an Imperial Dark Rye, brewed with West Coast-style hops, Dark and Crystal rye, and fermented with an Alt yeast strain. 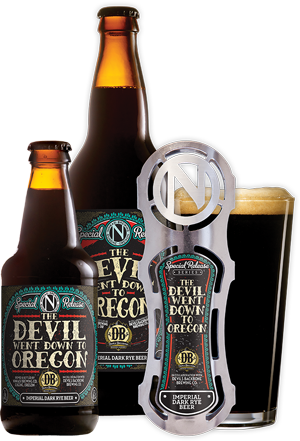 Description: It might be a sin, but take the bet and you won’t regret this beer from start to end!